Welcome to Farrell Family Dentistry! We always welcome new patients of all ages to our North Raleigh dental practice. We know that it is essential for patients to feel absolutely comfortable when choosing a dentist. During your first visit at our Raleigh dental office, you will meet the dental team, view our office, and be able to discuss your individual needs and desires for a healthy, beautiful smile. Here at Farrell Family Dentistry, we believe strongly in the benefits of preventative dentistry, including a prescribed program of regular exams and hygiene appointments to monitor your positive progress. Our goal is to give our patients the necessary information and education so that they may enjoy a beautiful, healthy smile for many years to come. 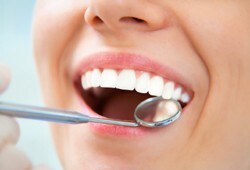 We want to provide dental care that will enhance the quality of your life. Establishing lasting relationships between our patients and our dentist is of utmost importance to us. Our dental practice has a passion for excellence and for treating everyone we encounter with respect. We want to make sure your smile lasts for many years to come. Our dental office procedures are designed with our patients in mind, and Dr. Andrew Farrell and his dental office staff committed to treating our patients with state-of-the-art dental treatments and gentle care. Smiles are our specialty! Click on Map for Detailed Directions. Raleigh Dentist Andrew R. Farrell, DDS is dedicated to providing the best family dentistry in the Raleigh area such as cleaning teeth, complete oral exams, initial exam cleanings, a variety of preventative and restorative dental services, cosmetic dentistry, new patient exam, limited exams and more. We are conveniently located just off Falls of Neuse Road between I-440 and I-540, and look forward to seeing you at our Raleigh, NC dental office.